We have discussed in a couple of articles in this website, about the export and import procedures and formalities of Customs department. 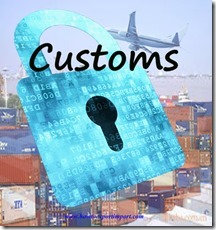 You may have a doubt – Why do customs involve in Export and Import of a country? One of the main reasons of involvement of Customs is to ensure nothing goes out of the country against the laws of the land and customs authorities duly enforce stipulated prohibitions and restrictions regarding outward cargo. So the goods within a country should not be moved out of a country without the knowledge of government of an exporting country. Also the movement of goods in to a country also needs to be monitored by government of each importing country. Another reason of customs control on import and export is to ensure authenticity of value of outward cargo according to the customs valuation rules to check over and under invoicing. Assessing value of goods is major objective of customs under both exports and imports. 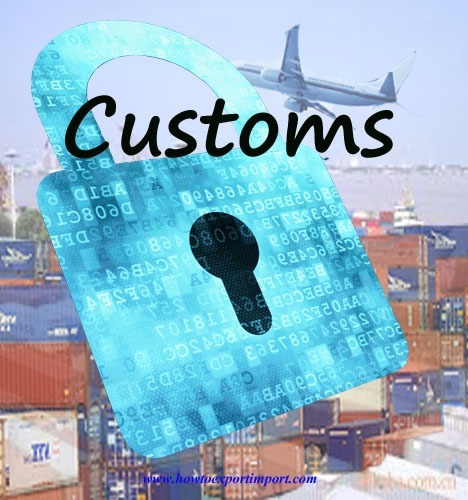 One of the other objectives of customs control on import and export is to assess and realize export duty/cess/charge according to the customs Tariff Act and any other fiscal legislation. In order to check that all the regulatory provisions of Export (Control) order, Export (quality Control and Inspection ) Act and Foreign exchange Regulations Act are duly compiled with, the involvement of Customs is a dare need. This is another objective of a customs department in each country under imports and exports. One of the other objectives of Customs department is to provide export data through the customs returns. While complying with the objectives, before granting permission, customs ensure that the goods exported are of the same type, sort and value as have been declared by the exporter and the duty or cess duty thereon is properly determined and paid by the exporter. Have you satisfied with this article about he objectives of Customs control under Imports and exports? Would you like to express your views and thoughts about objectives of Customs control in International Trade? Write below your thoughts on this subject about objectives of Customs control under imports and exports. Fight against superstitious beliefs - Protect wild life. renu sharma : On 19 February 2015 Sir I too willing to start my own export trading firm , for the same I am doing studies on various products and made a list of products which I can export and my website is underprocess. Now I came to a crucial stage that is to find a genuine buyer . There are various b2b website which ask for the membership it is tough to decide which website is good . Dear sir ,please help me to knocked down this hurdle. And suggest me which is the best website to take a membership. V Sukumar: On 19 February 2015 We are interested to import LED TV sets in container loads for resale in India. We do not have any knowledge of import and export and look look forward for your advise in this regard. Export goods code for razor blade blanks in strips. Import goods code for Razors. Need airfreight quote? What is the nature of export goods?